Here’s listing the top 5, you just have to try while you are in Chitwan. Let your senses sink in these ultimate experiences. Elephant Safari, travel through open grassland and dense forests on elephant back in search of rare animals.The elephant safari is one of the best ways to spot wildlife from up close. Because the elephants can come close to other animals without them noticing that there are people on the elephant’s back, you can come up to 1 meter from other animals. Be on the look out for the great one horned rhino, four species of deer, wild boar, sloth bear, leopard, bison and the big one, The Royal Bengal Tiger. After the ride you can also visit the elephant breeding centre where you can play with elephants babies. Do you know how to save yourself if you are being chased by one-horned rhino while going for a jungle walk? The answer is- It is zig zag back back and forth every four meters. Chitwan National Park, the natural World Heritage SIte, encompases sight of crocodiles, great one-horned rhinos, deer, and tigers while you are out for a jungle safari.Nepal is one of the few places in the world where you can actually walk in jungle or rent a jeep for safari. There are special itineraries for jungle safari itself i.e 3 days and 2 nights to 5 days and 4 nights especially for great one horned rhinos. If you are lucky enough chitwan is one of the place for sighting Royal Bengal tiger on foot. Canoeing, a traditional dugout canoe takes you on a silent trip down the Rapti River to view birds, crocodiles and the animals of the river bank. During the trip you are accompanied by a guide who will tell you about the animals. Off course you don’t have to peddle yourself as a boatman joins the ride.It is also a relaxing way to watch birds and wildlife species that frequently come to drink water and bath. Cycling is the best eco-friendly way to rome around the national park as well others places. Being in a cycle you would not scare away the animals around you as well.Cycling around the forest of chitwan is the best way to spots one horned rhinos, gharial crocodile in the shore of river, and bird watching as well.Often tourist ride to twenty thousand lake in cycle since it the place to go for. Just be assured not to wear bright color since they would scare the animals off. Cycling is the best way for observing the typical tharu villages. For ornithologists and amature bird-watchers, the Chitwan National Park offers excellent possibilities with more than 564 species recorded. If you are a bird watcher then chitwan is the best place to fly from kathmandu.An early morning walk along the Rapti river is the must for the birds lover in Chitwan. There are many species of parakeets. Other birds include Blue-Throat (thrush), Long-tailed Nightjar, Indian Peafowl, Great Barbet, red-billed blue magpie and Tickell’s red-breasted blue flycatcher. And if you miss some of these then a lot of ponds are present within the reserve and park. Around such ponds you can a lot of extraordinary species like the Crested Serpent-eagle and Grey-headed Fish-eagle. Do you consider yourself an adventure enthusiast? Are you travelling to Pokhara? If yes, then you are in luck! Pokhara is the place to go in nepal to indulge in some of the most exciting and thrilling activities, some of which, we have listed for you below. Here’s listing the top 5, you just have to try while you are in Pokhara. Let your senses sink in these ultimate experiences. Drift gracefully from take-off at Sarangkot (1592m). Enjoy as you glide over Monasteries, the beautiful Phewa Lake and lush green forest. More than 250flights are conducted in a day during the peak season.A reserve chute is provided to you adding to the safety factor. However, it being an extreme adventure sport, some risks are involved. The biggest risk is the sudden change in the wind during takeoff and landing. Highground Adventures hosts the one and only tower bungee located in pokhara. It can be reached by a 20 minutes drive from lakeside. The bungee has a vertical height of 70 meters which allows 3 seconds of free fall. The bungee experience is complemented by the spectacular Himalayan scenery. Its here! The tallest, the longest and the steepest zipflyer in the world. Your adventure trip to nepal will not be complete without experiencing this 1.8 km long zipflyer. You will experience speed upto 120 kmph during the 2 minutes descend. The zipflyer has an incline of 56 Degree and a vertical drop of 600 meters. If you love adventure and thrill you can’t go wrong with this. The Ultra light flight is a great way to see spectacular mountain peaks, Giant lake and sceneries of pokhara.Ultra Light Aircraft is a small light weight airplane with an engine. Once you have taken off into the air, this aircraft, in the right conditions can switch off its engine and glide through the air almost like a hand glider. The cockpit can be either enclosed or open depending on the aircraft. It gets its name for its lightweight frame. The Ultra light flight gives you thrill and excitement of being in the air dependent on the wind, yet it does not involve any risk or danger.The cockpit has enough room for you and the pilot. Pokhara is the home to some of the most interesting cave in nepal.If you are adventurous enough and you are not afraid of dark or bats then you should definitely go for some cave exploring in pokhara. 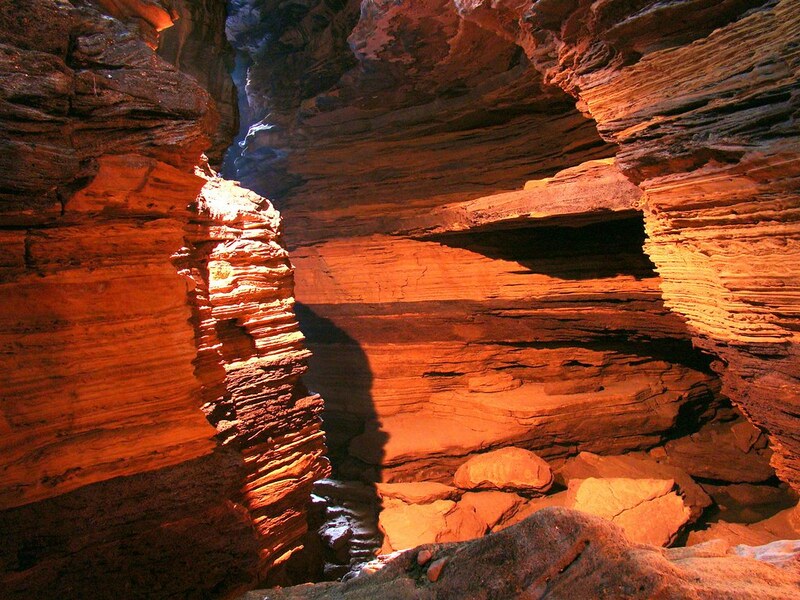 There are numbers of caves in pokhara among which Mahendra cave, chamero cave and Gupteshwar cave are the known ones. Mahendra cave now do not have exit gate so you need to return back the same entrance you went through. If you are afraid of dark also there are some lights inside of mahendra cave. Another thrilling cave is chamero cave, as the name suggests there are the places for bats, so if you are afraid of bat then this is not the place for you unless you are Batman. Another cave from where you can view the majestic waterfall of Davis fall is Gupteshwar cave. Inside this cave you would feel the breezes of water from davis fall. Although Chitwan is a modern city, many parts of it are still in rural areas. Most of the part of chitwan is covered with dense forest. When you visit Chitwan, you are in Rural Tourism arena, for you have a direct affect on the lives of many villagers and rural folks. The food served there, consist of their own traditional taste. Dal bhat is the staple food of the area. The food served in most of resort and hotels of Chitwan, geared toward the Chitwan wildlife viewers, is mix of local and western food. You would get Nepalese, Continental, Indian, Thai, himalayan Chinese etc cuisine. you probably won’t belive that the chefs are able to satisfy your taste, since it is a rural area. But it is incredible to learn that the chefs are 100% ready to experience with every dishes listed. Momo, Sukuti Khaja Set and other Newa Cuisine also available here. Indian and traditional dishes are super tasty. Chitwan itself an amazing district of Nepal with lots of diversity and culture from every part of Nepal, anything you want you can grab there at Chitwan, hance called 76th district of Nepal. Beside of this here are the some best local food served and special at Chitwan. There is a whole range of river side restaurant in sauraha which serve local Nepalese terai style food. Tharu, one of the largest group of people lived in terai, are ready to serve you their mouth watering traditional food with a great hospitality. One of the most common foods in the Tharu community of Nepal, Ghonghi is often catered as delicacy, just the way others serve chicken or mutton. Known as escargot in France, where it is served as a delicacy too, this species of snail is served with the ground linseed soup. Usually, this dish is eaten by sucking the snail from its shell and is available all over the market place in Terai where the Tharu community resides. “Tass” a well known dish in the Nepalese Restaurant industry and a great compliment snack for the drink. It is the spicy fried goat-meat dish. It has been our favorite snacks since ages. Chitwan is known for the tasty, fresh “Taas” they served. You would never forget the taste of spicy “Tass”, served with Bhuja or Cheura, you tasted there. Mixed Taste of Bhatmas sadeko( roasted soya bean), alu tareko(potato fried), suruwa(soup) ets are starter with Nepali Thali set. sada bhuja(rice), kala dal(lentils), gravy chicken, roasted wild boar, Saag(seasonal fresh leaves), vegetables, and achar(homemade pickle) are main course and in desert, sikarni(Thick yogurt, shipped and mixed with dry nuts and cinnamon powder).Thali, according to me is the best way to relish Nepali traditional meals as you get to taste a variety of dishes in one go and the added advantage of this is you pay less and taste more. As a lover of Indian food, I searched and experimented for a long time before finally coming up with this recipe for genuine Indian restaurant-style tandoori chicken that you can make in your own home oven. Combination of roasted chicken with yogurt and spices adds the taste of the era and will be the unforgettable for you. No matter where we go, where we travel, at some point, we will like to eat. the empty appetite will ruin all the excitement of the trip.I always look for the mouth watering food and the specialities of the place I visited, so that I can taste the new food and remember that throughout my life. I guess, the same for you too. Pokhara serves different types of food as per your need. there are many national and international restaurant, serving you your desired food. For Korean food,Natsal Restaurant; for Chinese food,China Town Restaurant; for Italian,Caffe Concerto; for thai, Krishna’s Kitchen; for japanese,AoZoRa andKoto; for himalayan,Potala Tibetan Restaurant; for french,Metro; for indian,Marwadi Restaurant, and many more. some restaurant like Moondance Restaurant, serves international food. With so many option and so little time to cover all the excitement in a city of adventure, pokhara, here are top 5 food you should not miss, no matter with your taste. As we all know summer and sea food go together like peanut butter and jelly. Whenever I reach lake side, Pokhara, only word that strike my mind is, fish. word cant describe the taste of fresh fish caught from phewa tal,and around the city, the attractive Newari design Restaurant with a bamboo porch draped in flower pots, of pokhara adds more on the taste. The food is served in reasonable price and in friendly environment. I prefer Frozen yogurt while i am walking in the lake side or boating. Frozen yoghurt is similar to ice-cream, but is made using yoghurt instead of cream. Like ice-cream, it is available in different flavors. Customers can add 20 different types of toppings like seasonal fresh fruits and dry fruits, chocolate chips, nuts and Oreo cookies crumbles, among others in the frozen yogurt as per their choice.If you are against ice cream, its the best way I could suggest you to make your summer cool. Thankfully for anyone having the sweet tooth like mine, Pokhara serve Machhapuchhre kiss. No word, just don’t know how to describe it… I guess you just have to try it. It is absolutely devine. for me, it is the best desert in the “world”. Bhatmas sadeko( roasted soya bean), alu tareko(potato fried), suruwa(soup) ets are starter. sada bhuja(rice), kala dal(lentils), gravy chicken, roasted wild boar, Saag(seasonal fresh leaves), vegetables, and achar(homemade pickle) are main course and in desert,sikarni(Thick yogurt, shipped and mixed with dry nuts and cinnamon powder).Thali, according to me is the best way to relish Nepali traditional meals as you get to taste a variety of dishes in one go and the added advantage of this is you pay less and taste more. Fresh dough, sauce blended of vine ripened tomatoes and spices,hand tossed pasta with the freshest ingredients, is simple awesome.I will never again be able to enjoy “normal” pizza without dreaming about this. Yummy! !